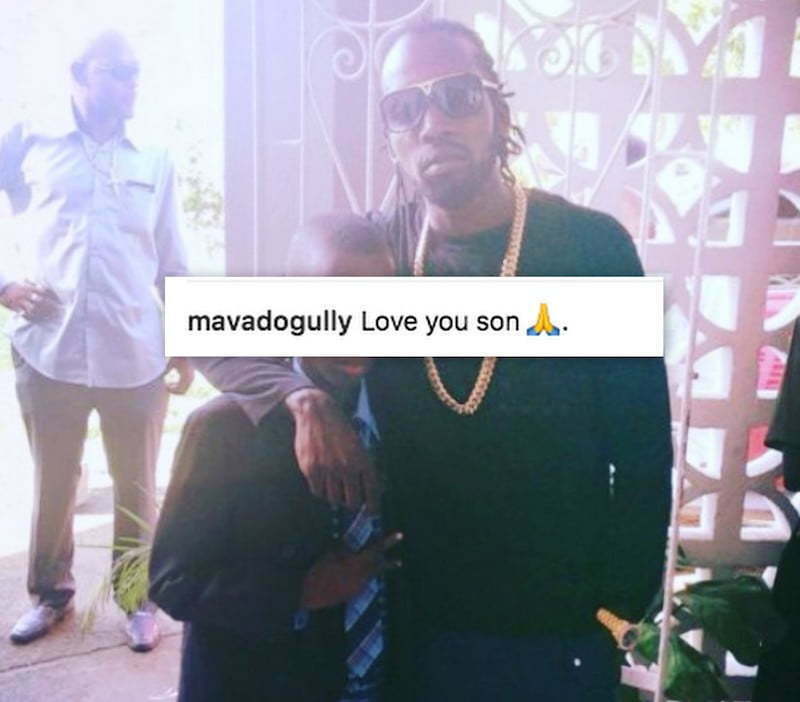 Mavado sends an emotional message to his son who is now in jail awaiting trial. The Gullyside singer took to Instagram earlier this week to share an old photo of himself and his son when he was much young. “Love you son,” he wrote in the caption. 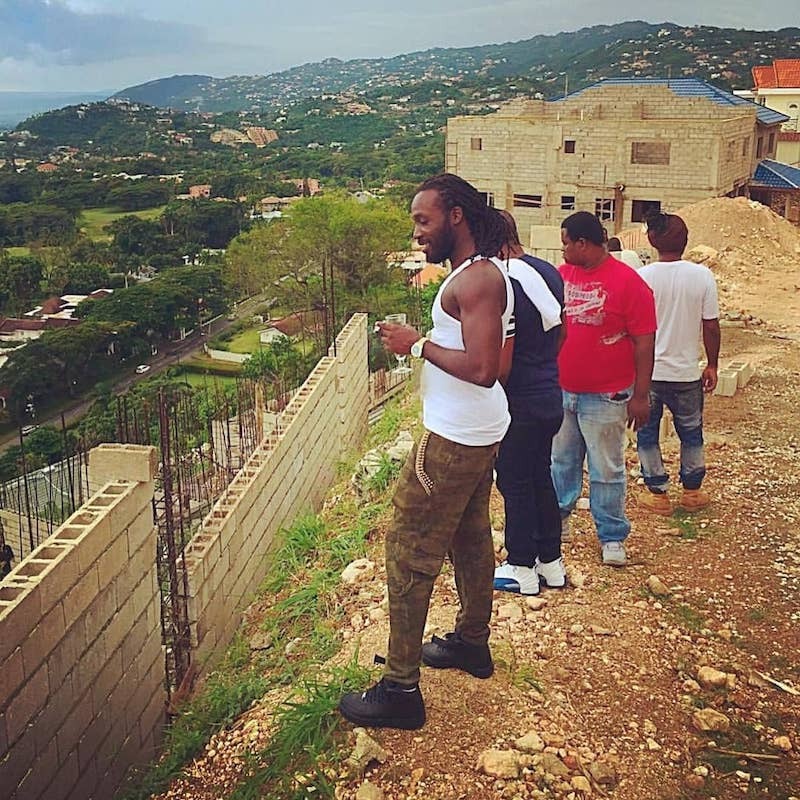 Mavadohas been getting a lot of criticisms on social media from dancehall fans for leaving Jamaica leaving his son behind to face a murder charge. The 16-year-old was charged with murder, conspiracy to commit murder, arson, and illegal possession of a gun and ammunition. Mavado teenage son is currently locked up in a juvenile detention center and was denied bail when his attorney appeared in court last week. Vado is still overseas, and there is no clear indication yet if and when he will return to the island. Some fans are still of the view that the singer should return to support his son who is in some severe legal troubles. If convicted, he could be sent to prison for life. Mavado, whose real name is David Brooks, fled Jamaica last month just days after he was shot at in Cassava Piece over a domestic dispute involving his son and another man. A few days after the shooting incident, one man, Lorenza Thomas, was killed in a gruesome attack at his home in the community. 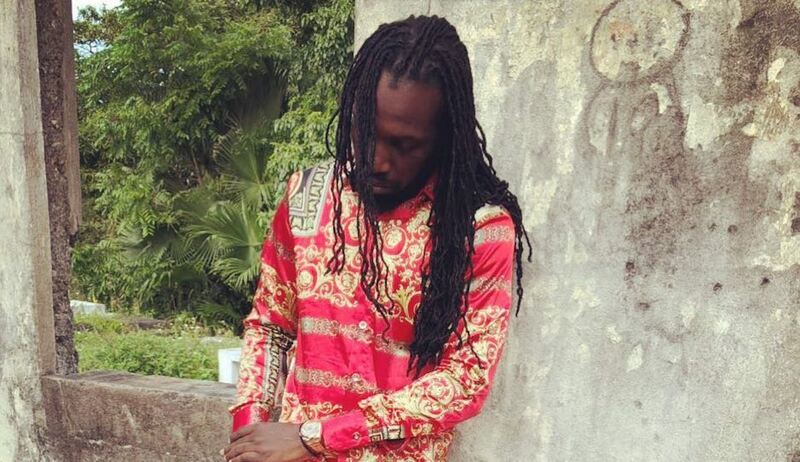 Police say his killing was a reprisal for the shooting incident involving Mavado. The singer’s son and another man, 23-year-old Andre Hinds, are both facing murder charges for Thomas’s death. Cops say they have text messages showing the teenager ordering the hit on Thomas where he told Hinds to behead the 22-year-old. Lawyers representing the accused told us that he vehemently denied the allegations and Mavado vows to fight for his son’s life to the very end. Mavado is pulling all the stops to fight his son’s murder case. Mavado has expressed his son’s innocence in the charges laid against him and vows to fight for his freedom with everything he got. Sources inside the Gullyside camp exclusively told Urban Islandz that the singer is looking to build a high powered defense team for his son. One of the criminal defense attorneys he is looking at is Vybz Kartel lawyer, Tom Tavares-Finson, who is widely regarded as one of the best in Jamaica. Mavado has been getting a lot of criticisms inside dancehall from mostly his fans for leaving the island leaving his son behind to face the criminal justice system by himself. 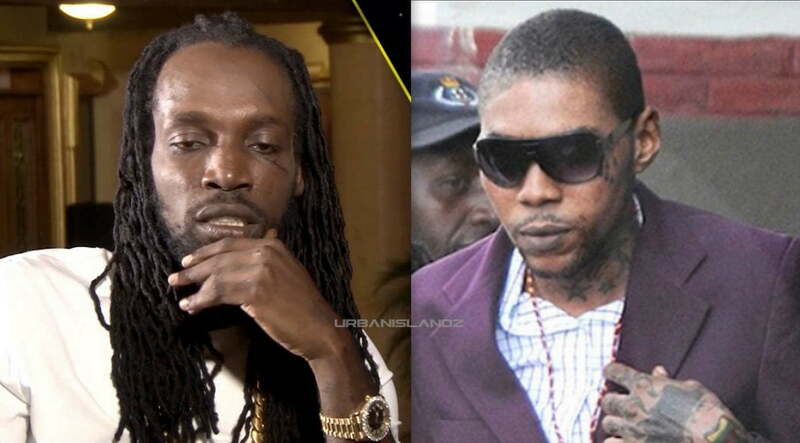 We’re told that is not the case and Mavado is shelling out a lot of money to mount a solid defense for his son. Kartel’s legal team is currently busy with his appeal case, so Vado will likely wait until that case is concluded in July to take them on full time. We’re also told that Vado thinks that police is trying to frame his son by pinning the murder charge on him to force him back to Jamaica because they also want to pin charges on him. Mavado has been staying away from Jamaica because he believes that his life will be in danger if he returns to the island. He also thinks that the police force is trying to set him up for the same murder charge his son is facing. Sources told us that the singjay also regularly speak to his son through his attorney. Mavado’s 16-year-old son was arrested and charged with murder, conspiracy to commit murder, arson, and illegal possession of a gun and ammunition. The teenager has maintained his innocence and is currently held without bond in a juvenile center. As for Mavado, there is no word yet on if or when he will return to Jamaica to meet with police officers. However, law enforcement officials say they are prepared to have him extradited if necessary.